So what happened in the Episode 1? To name few quick spoilers, we had a nice and emotional reunion in the Winterfell. The House Stark, Daenerys and Jon Snow, the unsullied, Tyrion, Sam, and the two dragons have all came to the castle. Jon has learned that he is the rightful King of the Seven Kingdoms. What is more, the crazy pirate Euron got to spend the night with the Queen Cersei. What is going to happen this upcoming Sunday though? We have 4 Game of Thrones Season 8 Episode 2 predictions on events likely to happen, according to online sportsbook sites in the US. We analyze them here below. The best scene to start with is the last scene of the first episode, when Bran greets Jaime in Winterfell’s courtyard. Jaime looked very surprised to see Bran alive there. It is also very obvious that Bran knows Jaime was the one who pushed him off the wall. So will Jaime apologize for his deed? Probably yes, and you can bet on that, with -270 odds at 22BET Sportsbook. Since Bran is preoccupied with defeating the Night King over human matters, he might decide to forgive Jaime. Some Game of Thrones quotes just never get old. Will we hear the phrase “You know nothing Jon Snow”, which was said by Ygritte? Well, what we know for sure is that Jon Snow will appear in lots of scenes in Episode 2. So, betting on a phrase such as “You know nothing Jon Snow” to be said is probably safe and profitable with +950 odds. Maybe he will hear that phrase from Daenerys, if he tries to tell her that he is the rightful heir to the Iron Throne. Will we hear “Hold the Door” that has become a meme in Season 6 Episode 5? You might hear it with +650 if Hodor shows up, as this is the origin of his name. However, many think Hodor became one of the White Walkers. When the war starts, probably in the third episode, we can hope to see Hodor again. The Greyjoys have arrived with their Iron Fleet to the King’s Landing shore in the first episode. While Euron was welcomed by Cersie in the castle, Yara was rescued by her brother Theon. Yara decided to head back to the Iron Islands, whereas Theon is going up to Winterfell to join the fight. Will we see any of the Greyjoys face their fate in Episode 2? The odds are -200, but it is hard to tell, except if Cersie decides to get rid of Euron and take his fleet. What about the Lannisters? Bronn has been given a new marching order from Cersei to hunt down his former besties Jaime and Tyrion. We will find out soon whether he will make it to the Winterfell and actually does what he was hired to do. However, even if Bronn changes his mind, Jaime might still die. At the beginning of Episode 2 preview Jaime stands trial for killing Daenerys father, the Mad King, and the odds are +100 for Jaime to be executed. 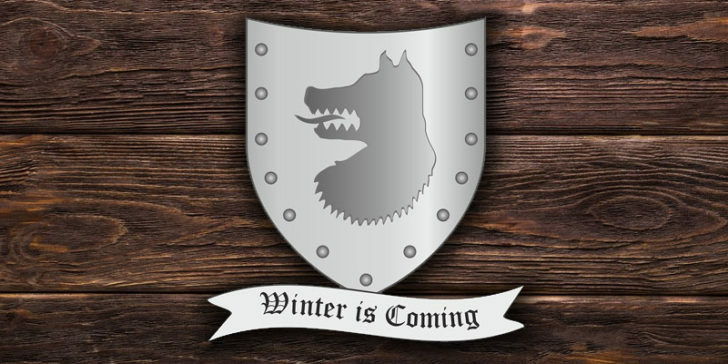 Online sportsbook news in the US have spoken a lot about the unusual connection between the Stark children and their pet direwolves. However, the only one left alive is Arya’s Nymeria. Arya was forced back in season 1 to say goodbye to Nymeria, and after six seasons they met again. Nymeria showed up in Season 7 Episode 2, but Arya drove her away for her own good. Will Nymeria return to the north and appear in the next episode? 22BET Sportsbook suggests it is highly possible with -400 odds. To see all the Game of Thrones Season 8 Episode 2 predictions and odds, just have a look at our latest review about 22BET Sportsbook. Bet on Game of Thrones Ahead of Season 7: Who Will Rule Westeros?